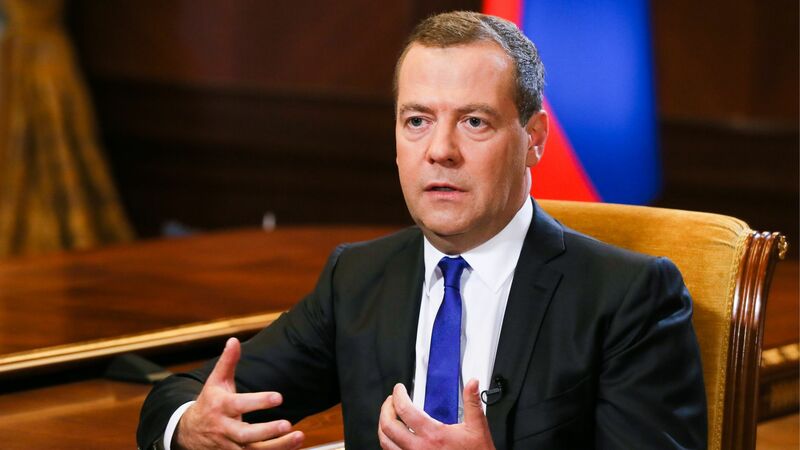 Russia calls talk of Georgia joining NATO "a threat to peace"
Russian Prime Minister Dmitry Medvedev warned Monday that NATO's commitment to eventually allow Georgia to join the military alliance "is an absolutely irresponsible position and a threat to peace," reports the AP. "There is an unresolved territorial conflict ... and would they bring such a country into the military alliance? Do they understand the possible implications? It could provoke a horrible conflict...We can’t help getting worried when the circle around our country keeps narrowing as more and more countries join NATO. NATO’s expansion clearly poses a threat to the Russian Federation." The backdrop: This week marks 10 years since the Russo-Georgian War, which resulted in the continued military occupation of two Georgian provinces in the Caucasus.